Hope this latest edition finds you well. Lots going on and lots of Brazil in the news these days, principally related to former President Lula making a return to center stage as President Dilma`s new chief of staff. A million people took to the streets this last weekend in protest against the current administration and calling for the impeachment to move forward. Former Senator Amaral appears to be singing like the proverbial songbird to federal prosecutors. Current speaker of the lower house Eduardo Cunha continues to samba and somehow someway despite mounting evidence avoids being jailed. Reminds me Lance Armstrong to the bitter end! As for me, I just got back from Toronto and the annual PDAC event. The mood of the conference was better than expected as both gold, iron ore, and oil got a recent lift. The USD is holding strong and there appears to be some optimism for the first time in a long time on commodities and mineral resources sector. We shall see what the week brings us, but regardless, it should make for great watching. Today I thought we would look at the ten of the most profitable European businesses who’ve already given Brazil their vote of confidence. In terms of revenue, Shell is the clear leader of the pack in Europe. It’s not surprising they’ve set up shop in Brazil, a veritable smorgasbord for oil and gas giants. 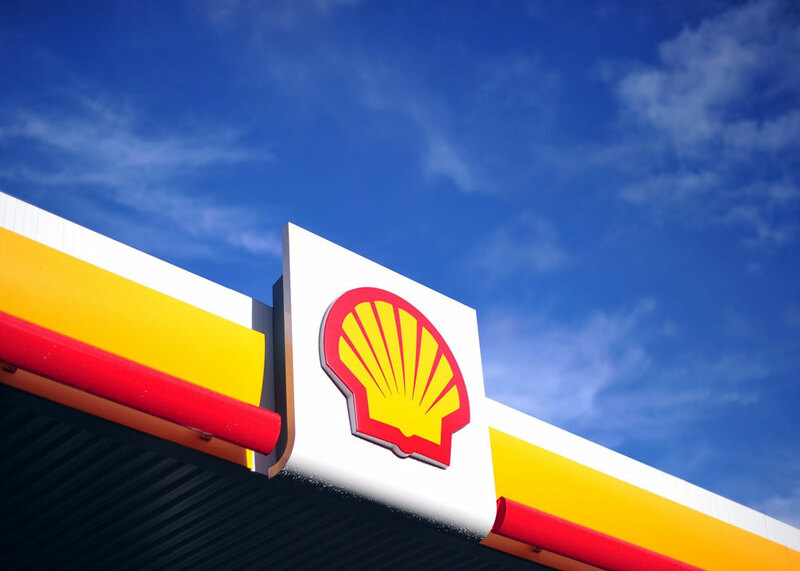 Shell recently began a new phase in its deepwater drilling efforts in Brazil’s lucrative Campos Basin, adding to their 100 million-plus barrels extracted since 2009. Besides its extraction industry, Shell also operates service centers and gas stations/convenience stores throughout the country. BP is part of the feeding frenzy taking place in the Campos Basin, but they aren’t new kids on the block. In fact, BP has been doing business in Brazil since 1957, and employs nearly 7,000 workers nationwide. BP Brasil focuses on lubricants, marine and aviation fuels, biofuels, and of course, extraction and exploration. The oil company operates in most Brazilian states, spanning from the northern border with French Guiana to the state of Pernambuco in the south, to the interior of Mato Grosso. Total has been active in Brazil since 1975, and represents France’s foray into the booming Brazilian oil industry. The company works in fields ranging from extraction to refining to R&D of solar and biofuel energy. Besides oil, Total is committed to getting the most out of natural gas, and invests heavily into more efficient usage of Brazil’s “other” fossil fuel stockpile. Total’s 3,000 employees work across a huge range of fields, from the company’s drilling sites to high tech research and development labs. Volkswagen do Brasil started as a simple assembly plant for the carmaker’s Type 1 back in 1953—which became the top-selling car in Brazil for 24 years. Not one to rest on their laurels, Volkswagen’s Gol took up the mantle of Brazil’s favorite car from there, and still hangs on to that honor. The German company employees an impressive 23,000+ Brazilians, who last year contributed to producing over 22 million cars for the Brazilian market. Brazil’s resources aren’t limited to oil and gas—the country is a treasure trove for valuable crops, ores and minerals, too. Glencore Xstrata operates facilities all across Brazil, from its administrative offices in Rio and Sao Paulo to farmland across the country, specifically wheat, sugarcane and oilseed plantations. Previously, Glencore also oversaw one of the largest nickel mining operations in the country, although the conglomerate has since shifted gears to focus on biofuels and farming. Gazprom is a relatively new player on Brazil’s oil scene, but they’ve clearly been making inroads. From their office in Rio, Gazprom International oversees both natural gas and oil exploration. Gazprom has been focused on acquiring existing oil field rights from Brazil’s battered Petrobras, and is interested in exploring further uses of liquefied natural gas in Brazil—their specialty. E.ON owns a plurality of ENEVA, a power generating company based in Rio de Janeiro. The German company is responsible for hydrothermal and coal-powered electric generation. One of E.ON’s major goals for the future is radically expanding Brazil’s thermal energy output in order to combat the country’s over-reliance on hydro power during the dry season. E.ON employees nearly 1,000 people in Brazil, who are collectively responsible for maintaining an electrical output of almost 3 gigawatts. Italy’s Eni has been a force in Brazil’s oil industry since 1999, where they operate 7 offshore wells. Besides exploration and extraction, Eni also conducts engineering and manufacturing in Brazil, overseen by its Rio de Janerio office. Eni’s Brazilian holdings are responsible for many building projects, including refineries in Belo Horizonte and Porto Alegre, and floating offshore production facilities. Currently, Eni is a leader in design and production of ultra-deepwater technology, assisting in the exploration and extraction of Brazil’s numerous hard-to-reach oil fields. ING’s Sao Paulo branch works closely with and specializes in the industries most crucial to Brazil’s economy—mining, oil, food and beverages, agriculture, infrastructure, and utilities. The Dutch titan offers a wide range of services, including wholesale banking, letters of credit/collection/guarantees, loans, financing and investing, taking advantage of the booming economy’s need for a trusted financier. Carrefour was the world’s first hypermarket, and also Brazil’s first, opening its first store in the country in 1975. The retailer operates more than 150 hypermarkets hundreds of other retail locations—from gas stations to pharmacies to technical support centers. In 2014, Carrefour brought in roughly BRL 38 billion, and continues to be a massive retailer despite significant downsizing over the past few years. Bigger, in terms of profit, than even Walmart. While the Brazilian economy is incredibly diverse, its oil and gas sector has proven to be the most lucrative (much like the other petroleum-rich countries of the world). Despite the dominance of European oil companies on this list, the fact remains that a huge swath of European business operate here—and are doing extremely well. What I’m saying is, don’t think you need to run an offshore drilling company to find success in Brazil. Companies from all over the world—the USA, Europe and Asia especially—are profiting from Brazilian ventures, and profiting big. That’s all for now. As always, thanks for reading and please send along any comments or suggestions. PS – On my way back from Toronto I stopped off at Mom`s house for a quick visit, and we had the privilege to go to a book signing and lecture by Markus Zusak. It was great to hear him speak a bit about his life experiences and writing. New book should be coming out soon. So in his honor, here`s a great quote of his.